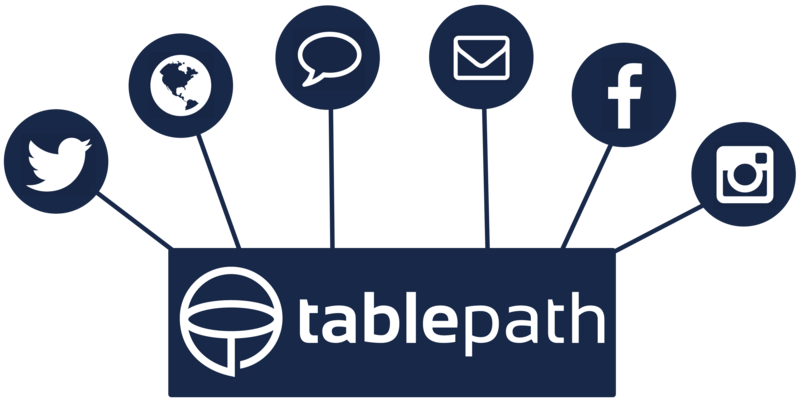 As a TablePath subscriber, you'll have access to the very best marketing software available for a restaurant. Our advanced marketing suite includes promotions, competitions, discounts and a loyalty system. Everything you need to get the word out about your restaurant! If you're looking for a reservations system that can handle anything your restaurant throws at it, you've come to the right place! Our reservation system is battle-hardened and extremely flexible. Any type of table combination, capacity, time at the table, table availability and much more can be handled with ease. Read on to see how we can manage all aspects of your reservation process. 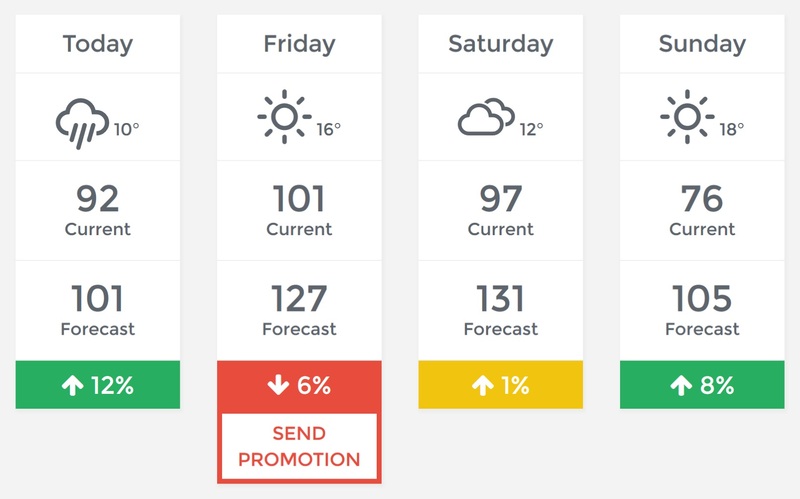 We use artificial intelligence to help you accurately forecast your future demand. This helps with very important aspects of your business like stock purchasing and staff allocation. Every TablePath customer gets a beautifully designed, mobile optimised website. Also, the entire website is geared towards restaurants and what customers expect when they visit a restaurant website. We've paid particular attention to the critical pages including reservations, menus, location & directions, opening hours and the home page to make them intuitive and functional. We also have great templates to allow you to style your website exactly how you'd like it. Every web page on TablePath is mobile optimised, including your own website. This allows you to keep on top of things from anywhere. All you need is a device that has an internet connection. Our admin website keeps you informed in real-time on any interactions between you and your customers. Reservations, competitions, dashboard, reservation cancellations and much more are displayed in real-time so you never miss out on the important things. Our real-time messaging allows you to communicate with you customers by email and SMS directly within the application. No more having to check email accounts or phones for customer messages! We provide you with a fully functional CRM to keep track of all your customer info. You can set up custom fields (to gather any type of information) and custom groups (to segment customers any way you like) in minutes. 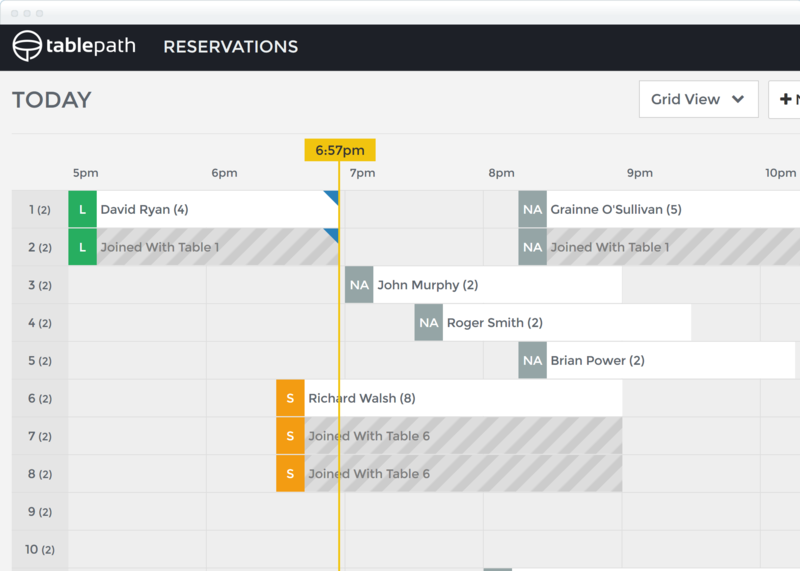 All of the important pages in TablePath are printer friendly allowing you to print off items that are important to your business including reservations for the day, staff activity and more. We currently have integrations with Stripe, Facebook, Twitter, Instagram & Twilio and we have plans to add much more in the near future. Want to see any particular integration? Just let us know! We provide an easy to use menu manager that lets you easily change menu items on your website. Say goodbye to an out of date menu on your website! We leverage the power of cloud computing to make sure your website is running fast & reliably at all times, regardless of how busy your website gets.